Cooperative Conservation is Defined in Executive Order 13352 as "actions that relate to use, enhancement, and enjoyment of natural resources, protection of the environment, or both, and that involve collaborative activity among federal, state, local, and tribal governments, private for-profit and nonprofit institutions, other nongovernmental entities, and individuals." This executive order gives DoD installations the ability to work with outside agencies and stakeholders in conserving natural resources. By working with other stakeholders, DoD installations can contribute to and use the resources of these organizations. Obviously, benefits of cooperative conservation efforts to endangered species and natural resource programs are vast, from increased scale of projects to technical knowledge of resources. Many cooperative partnerships can help the DoD address endangered species issues with specific plant and animal groups and compliance with other federal wildlife protection laws, such as the Migratory Bird Treaty Act. 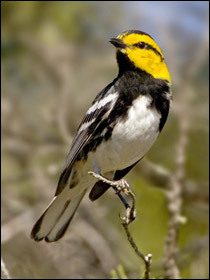 A number of laws and treaties have been established for the protection of migratory birds in the United States (see http://www.fws.gov/migratorybirds/intrnltr/treatlaw.html). The Migratory Bird Treaty Act was formed out of treaties with Canada, Japan, Mexico, and Russia and protects migratory birds in those countries. From this and other laws and treaties, federal agencies are mandated to protect migratory birds. As discussed in chapter 3, this mandate was clarified and enhanced in January 2001 when Executive Order 13186, Responsibilities of Federal Agencies to Protect Migratory Birds, was published (see http://www.fws.gov/migratorybirds/EO/migbrdeo.pdf). In this order, federal agencies are directed to protect migratory birds and to participate in cooperative conservation efforts such as Partners in Flight, North American Waterfowl Management Plan, and others. In compliance with Executive Order 13186, a memorandum of understanding between the USFWS and the DoD was signed in 2006. This agreement states that the DoD will cooperate, when possible, with many national organizations designed to coordinate bird monitoring projects both nationally and internationally, such as MAPS, PIF, BBS, BBIRD, and NABCI. As part of cooperation with NABCI, the USFWS and DoD have adopted the Bird Conservation Region (BCR), a geographical framework, as a basis for conservation efforts. (To find a specific region, visit http://www.nabci-us.org/map.html.) State ornithological societies can offer information on local species and habitats as well (for example, the New York State Ornithological Society, see http://www.nybirds.org). These are among the many programs that are invaluable sources for data and monitoring of listed species. More information on migratory bird conservation can be found at the USFWS migratory bird web page (http://www.fws.gov/migratorybirds/). In addition to the information on birds provided by the groups and agencies mentioned above, other organizations provide conservation support for other major plant and animal groups. Partners in Amphibian and Reptile Conservation (PARC) is "an inclusive partnership dedicated to the conservation of the herpetofauna  reptiles and amphibians  and their habitats," and is recognized by DoD. Regional chapters of PARC (see http://www.parcplace.org) are a great place to find information on the amphibians and reptiles of an area. State herpetological associations are another source for cooperative agreements (an example is the Kansas Herpetological Society at http://www.cnah.org/khs). Bat Conservation International (BCI) and the DoD enjoy a cooperative agreement for the conservation of bats in the U.S. BCI (see http://www.batcon.org) is a valuable source of technical information on all aspects of bat protection. State and regional bat groups are also available for information (for example, the Southeastern Bat Diversity Network at http://www.sbdn.org). Other organizations useful in cooperative conservation efforts include state native plant societies (such as the California Native Plant Society at http://www.cnps.org), the North American Butterfly Association (http://www.naba.org) and its associated local chapters, and many more. Another especially important source of information and assistance is state natural resources offices. These offices have expertise and knowledge of most animals and plants in a state. 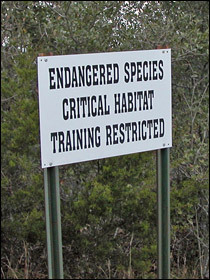 Along with USFWS field offices and regional offices, state natural resources agencies  especially the state natural heritage programs  can provide important information on endangered species and the biodiversity of a specific area. NatureServe, which represents the network of state natural heritage programs, maintains the NatureServe Explorer website, a source for authoritative data on more than 70,000 plants, animals, and ecosystems in North America (see http://www.natureserve.org/explorer/.) Finally, the state wildlife action plans, now completed for every state, are excellent sources of information about threatened, endangered, and rare species (http://www.wildlifeactionplans.org/). Cooperative conservation can benefit many agencies and groups, including  especially  military installations. By using these various agencies and groups, installations can achieve goals that would not be possible otherwise. For biodiversity and especially endangered species conservation, cooperation among groups is essential to the success of any natural resources program.